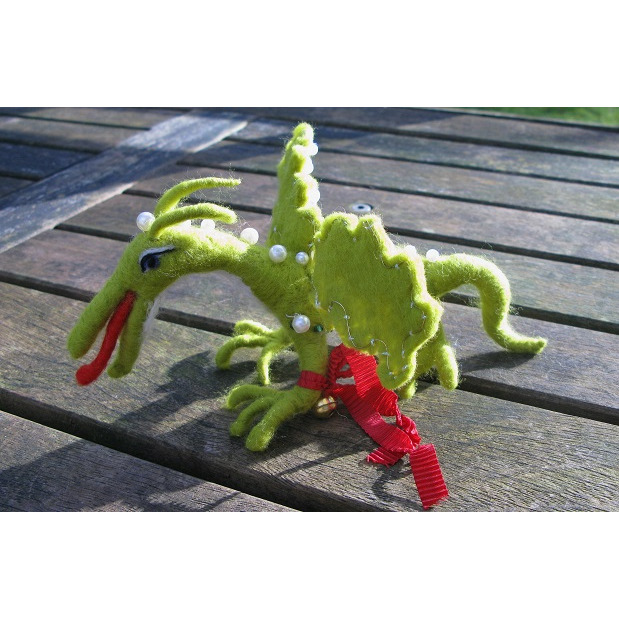 This mythical green Dragon - a lovely gift for anyone born in the year of the Dragon and to celebrate the Chinese New Year. The Dragon carries a golden bell on red chain to bring luck. Each Dragon will be made for the Order, so each one will have its own individuality and we are very happy to include input from the person who is making the order. We will send you photographs by email - to see what you think. Honey Beeswax are a small family run business dedicated to delivering, high quality, handmade gifts from the UK, Europe and around the World. Welcome to our list of brands that we love to sell and where you'll find the products from these companies that we think are very special and love to feature at Honey Beeswax.